NEW FLOORING & PAINT throughout! 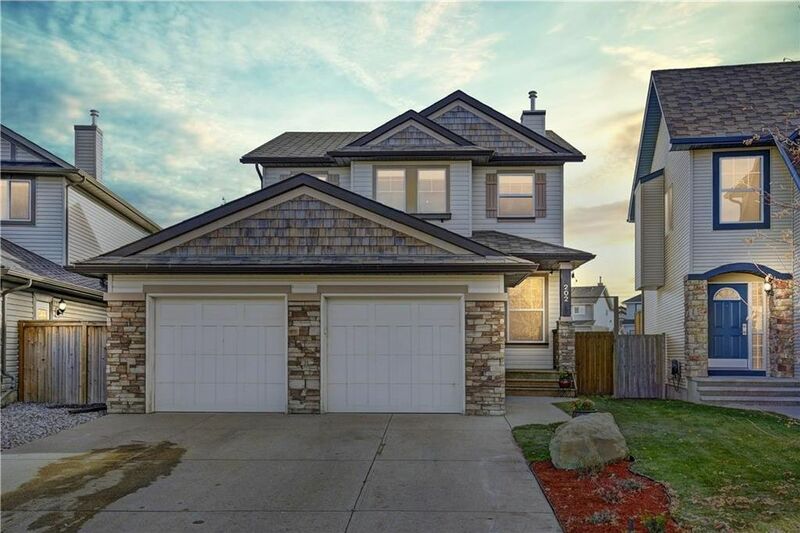 This beautiful home, situated on a QUIET crescent, has a SOUTH FACING YARD, which BACKS ONTO GREEN SPACE, including a PLAYGROUND, WALKING PATHS & POND, and is STEPS AWAY from NEW BRIGHTON SCHOOL & Community Center. Other highly desirable features include 9 FOOT CEILINGS, CENTRAL A/C, Stainless Steel Appliances, and Front Office room. The new Laminate flooring on the main floor, and carpet upstairs, in combination with the fresh paint, truly brings this home to life and brightens each room. The yard is Fully Landscaped, and the Large Deck allows you to enjoy the beautiful, unobstructed view of the green space. The Exposed Aggregate driveway leads you into an OVERSIZED, DOUBLE DOOR INSULATED GARAGE, featuring a MAN DOOR leading to a FENCED DOG RUN beside the home. Upstairs you will find 3 spacious bedrooms, including a large Master featuring a Large Walk-In Closet and lovely En-Suite boasting SOAKER TUB & GLASS ENCASED SHOWER.